General TV Channel / Vision4 Television - The Television of Your Dreams. Vision 4 TV: African Television. 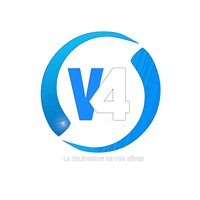 Vision 4 is television channel fron Yaoundé. Groupe Anecdote - Vision 4 TV, Sattelite FM, Africa Express. Headquarters: Yaoundé - Cameroon (Nsam).